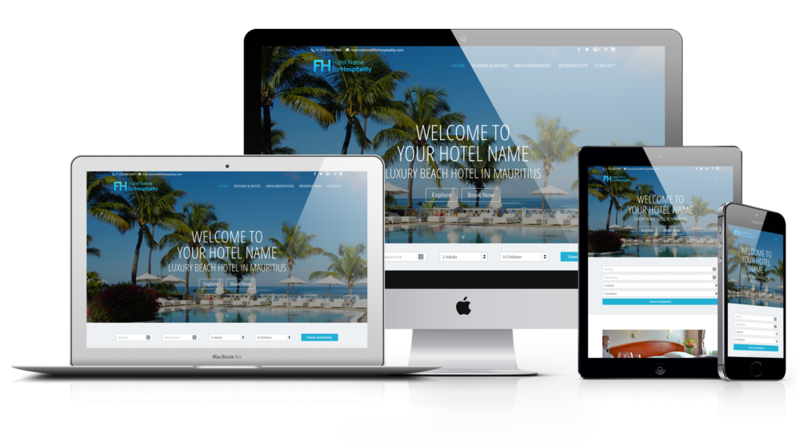 Our websites for hotels, resorts and B&Bs have desktop, tablet and mobile-friendly design and they are optimized for web & mobile browsers. We create unique page layout designs for interior pages so that we can offer a great user experience for your customers. Did we mention that 80% of internet users own smartphone and 47% tablet? We make it as easy as possible to check availability of your hotel rooms and make a reservation for your customers. We place a booking widget on every page to shorten a booking path to purchase. Our booking widgets are very flexible and we are able to integrate them with almost every third-party booking engine. Also they are fully-responsive (mobile and tablet optimised) and work well also on all touch devices. Choose a package based on features and functions which you need for your property. Not sure which package is right for you or do need a custom solution? Not a problem! Get in touch with us and we will do our best to help you. Yes, you know best your hotel, resort or B&B and we will need a close cooperation with you during this stage. Don’t worry, we do our best to make this stage as easy as possible for you. We use online forms and questionnaires to speed up and simplify this process. That’s it but it’s just a beginning! Share your new website on social media, tell about it to your potential customers and beat your competitors. Ready to get started? See Our Plans & Packages and Get Started! FoHospitality provides websites for hotels, resorts and B&Bs based on a monthly fee. We create customised websites with unique designs and layouts with features which will help to grow your online presence. We maintain a content of your presentation and keep your site up-to-date. Thank you, you have successfully subscribed! Please check your email and confirm your subscription.